BOD: Board of Directors – the governing board for Washington Youth Soccer. The Board of Directors is elected by Member Association Representatives at the Annual General Meeting and establishes standing and temporary committees as necessary to fulfill the mission of Washington Youth Soccer. SOC: Soccer Operations Committee – a standing committee established by the Board of Directors to oversee and manage the game of soccer and related activities. 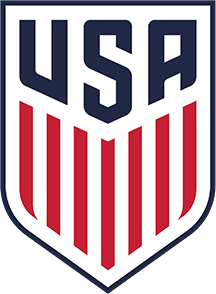 The Soccer Operations Committee is responsible for the operating documents and rules of Washington Youth Soccer and has its own subcommittees. RCS: Regional Club Subcommittee – The governing body of the Regional Clubs. The RCS consists of two WA Youth Soccer representatives (one Board of Directors member and the Technical Director) and Regional Club representatives (5 Directors of Coaching and 4 Club Presidents) elected from the Club Presidents and Directors of Coaching of the Regional Clubs. The Regional Club representatives are chosen to reflect the diversity of club populations and geography of the Regional Clubs of Washington State. Regional Club: The top twenty-one (21) competitive clubs in Washington Youth Soccer, as defined by the Regional Club Charter and the Seamless Soccer proposal. The Regional Clubs consist of the grandfathered Player Development League (PDL) clubs as well as additional clubs. RCL: Regional Club League – State-sponsored league for teams in the top twenty-one (21) competitive clubs in Washington Youth Soccer, as defined by the Regional Club Charter and the Seamless Soccer proposal. The RCL grew out of the former Player Development League. PDL: Player Development League – former District 4-sponsored Intra District League (IDL) sanctioned by Washington Youth Soccer for participation by the top premier clubs in Washington Youth Soccer as defined by the PDL operating rules. The PDL existed from 2006 through spring 2010, when it transformed into the Regional Club League after a merger into WA Youth Soccer. IDL: Intra District League – a league administered across District boundaries. Washington Youth Soccer approves Intra District Leagues and approved Intra District Leagues qualify teams for participation in all of Washington Youth Soccer’s State Cups. PML: Portland Metro League - a collaboration by Washington Youth Soccer and Oregon Youth Soccer to provide a competitive select-level league focusing on regional "like vs. like" play in Southwest Washington and the Portland Metro area. All District 5 competitive level Washington Youth Soccer/US Youth Soccer teams are eligible for the league. State Cup: Refers to one or more of the state-level tournaments hosted by Washington Youth Soccer. Currently there are 4 tournaments: Sports Authority Recreational Cup, Founders Cup, Challenge Cup, and US Youth Soccer Washington State Championships. EPD: Elite Player Development – player identification and elite development program that ensures that the best avenues for the development of elite players in Washington are created to provide the correct matriculation & education. Through the Elite Player Development program, players are developed to have the technical and tactical skills, combined with creativity, to compete at the highest levels of soccer. Washington Youth Soccer’s / Sounders FC EPD program develops hundreds of elite athletes across the state aged 10 – 17 years old for both boys & girls. ODP: Olympic Development Program - The US Youth Soccer Olympic Development Program (ODP) was formed to identify a pool of players in each age group from which a regional pool is selected for international competition; to provide high-level training to benefit and enhance the development of players at all levels; and, through the use of carefully selected and licensed coaches, to develop a mechanism for the exchange of ideas and curriculums to improve all levels of coaching. The Olympic Development Program is part of Washington Youth Soccer’s Elite Player Development program offerings.